The police are powerless to discover the identity of the Pintor Noche, the Night Painter, who has turned the summer of 1905 into an arsonist’s masterpiece. In desperation Inspector Esperanza seeks out Desdemona, the daughter of his legendary former mentor and predecessor Inspector Amina. Implementing the latest in forensic science, Desdemona teams up with the Inspector to hunt down the Pintor Noche before one of his fiery works of art consumes the entire city . 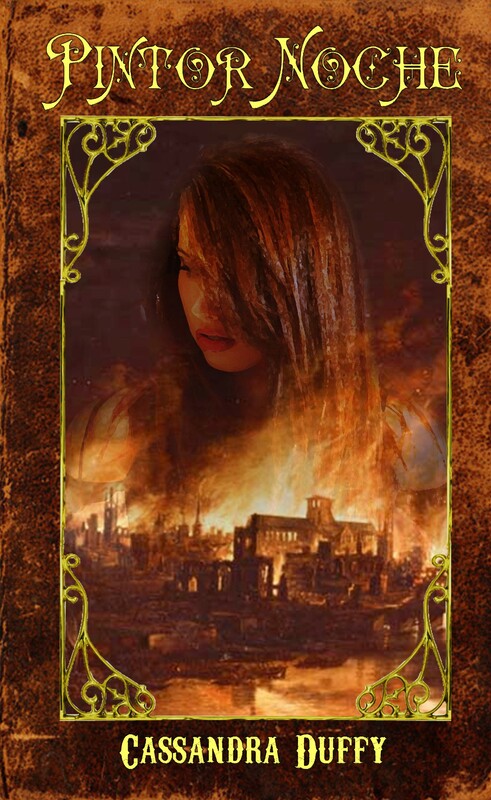 With the help of her painter paramour, Santene, and a roguish French journalist, Yvette, Desdemona struggles to navigate the perilous worlds of the aristocracy, Sephardic gangsters, and secret societies to chase the ghost of a man who paints with fire. Harper, Sword Maiden for the illustrious Goddess of the Open Ocean, has returned to the fabled city of Griffon’s Rock at the end of the Last Road to rest for the winter months after a disappointing year treasure hunting. Her rest is cut short by a mysterious storm of divine origin, an attempted horse theft of her beloved mount, and the sudden appearance of a beautiful southerner who seems determined to capture Harper’s heart. As the snows begin to fall, the intrigue and romance heats up. The object of Harper’s desire, the mysterious rogue Calista, appears destined to get everyone into fresh trouble with a mystical stew-brewing ogre, a greedy guild of Dwarven thieves, and finally an exalted march out of the snowy north bent on divine retribution. Harper must decide if her growing love for Calista is real or a product of the lies she’s been told. 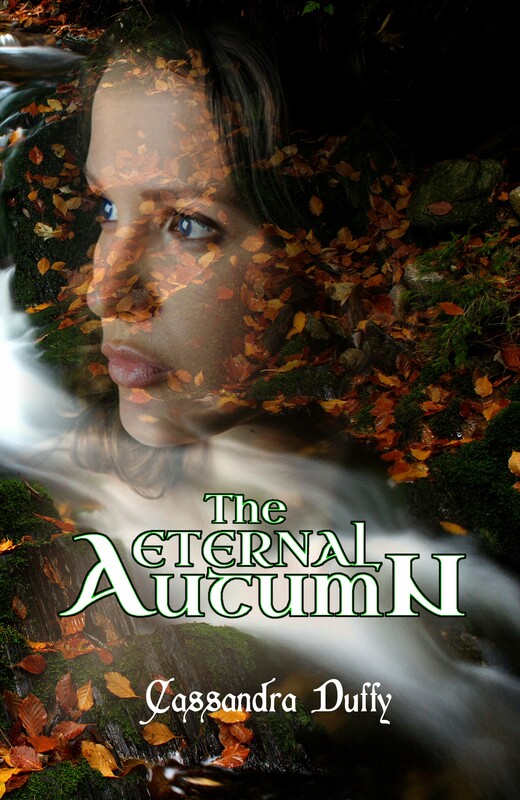 Before the spring thaw, Harper will choose between the woman she loves and the Goddess that is the source of her magic. Fiona Bishop, celebrated supermodel and recent pariah of the entertainment news after stabbing a paparazzi photographer in the mouth with a penknife, welcomed the end of the world after the week she had. The apocalypse started on a Saturday and for better or worse, Las Vegas survived. The Extinction War might have wiped Las Vegas from the face of the planet were it not for a former pole-dancer from Louisiana, a single mother straight off a commune, and a mafia widow. And Fiona might have fulfilled her plan of living fast, dying young, and leaving a beautiful, redheaded corpse if she hadn’t discovered the joys of big guns, hot women, and high explosives. In the wake of the first wave of the invasion, when Las Vegas was supposed to shrivel in the desert, choked by the smoke of war, three bloody queens collected survivors and waged their own war for survival. 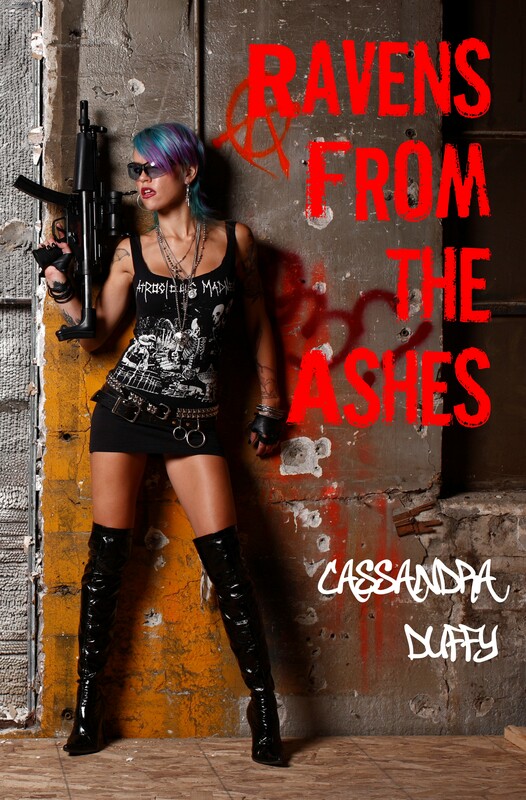 Rather than submit to alien invaders, ruthless drug cartels, and bloodthirsty bikers, lady ravens rose from the ashes, just in time for a second apocalypse. Claudia Marceau, sniper extraordinaire and notorious flirt, has grown bored with Tombstone and the Lazy Ravens as a whole. With her unrequited crush on the gunfighter Fiona Bishop growing ever more impossible after the inclusion of Gieo into the mix, she has found temporary comfort in the arms of the White Queen Veronica. 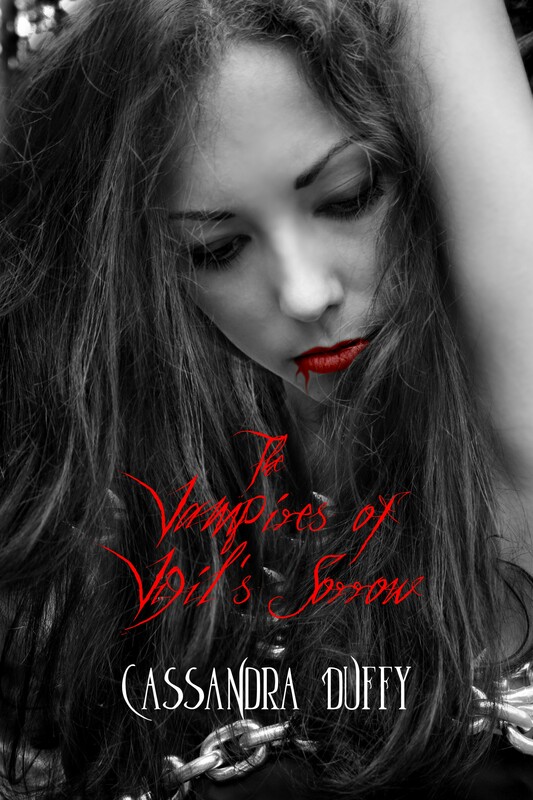 But what she really wants is out—out of Tombstone, out of the Ravens, out of the range of the romance she can’t have. On the tumultuous last night, with Tombstone burning down around her, she makes her escape into the desert night to seek out the father she is certain still lives and the freedom she craves. Her years of experience as a scout and survivor serve her well on a tremendous journey through the post apocalyptic wasteland where she takes counsel from a scorched Owl, slays a rising caste of Slark, and survives an encounter with an army of mutants that forever changes her and the fortunes of humanity. 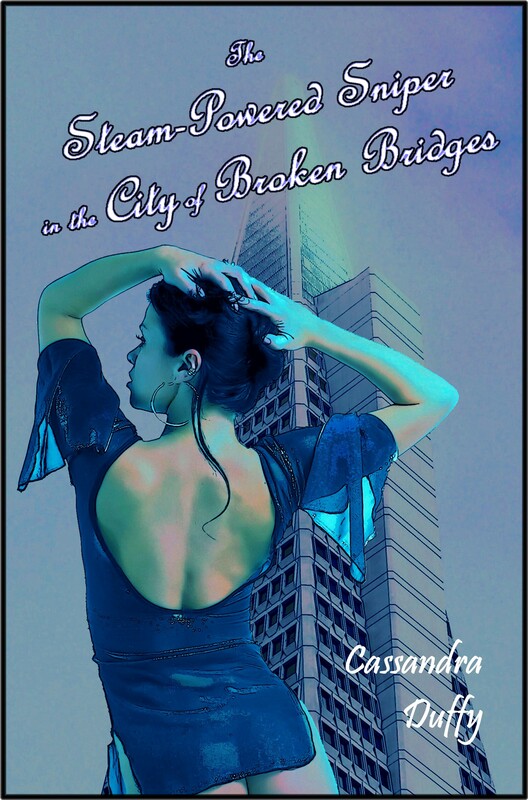 When she arrives in the City of Broken Bridges that arose from the ashes of San Francisco, she finds her father not only lives, but has become a powerful warlord charged with protecting the most technologically advanced city in human history. The maudlin French Canadian heroine becomes embroiled in a love tangle with a British sailor, a Scottish footballer, and the world’s last donut shop girl. In a landscape filled with man-eating trees, giant god-like robots, and vile mutants, Claudia strives to find a moment’s peace before the Lazy Ravens make their push to the west coast and claim a city with more secrets than people. The War of Retribution against the city of Juarez has gone well through the autumn and winter months and with spring nearing the conflict between the two mafia cultures is coming to a close. Fiona, at the head of a fresh army of Ravens provided by the new White Queen Alondra, has captured or killed the fleeing remnants of the Juarez invaders responsible for the massacre at Tombstone. Supported by Gieo and her fledgling air force of modified World War II planes, Fiona is set to end the War of Retribution with a decisive victory over the last bastion of the Juarez drug cartel. Before the final blow can be struck, the Slark make their return to the conflict, restored to their former glory and strength, using the terrible weapons of invasion everyone thought destroyed. After a disastrous battle, Fiona’s army is on the verge of breaking and Gieo has fallen into the hands of the marauder warlord General Mackenzie. Fiona must leave the Ravens to find her captured beloved, riding out into the desert with her trusty scout and sidekick, Maude, to seek help from the revived Apache Nation, the spirit world, and Gieo’s robot companion, Ramen, who is discovered to be of sinister origins. 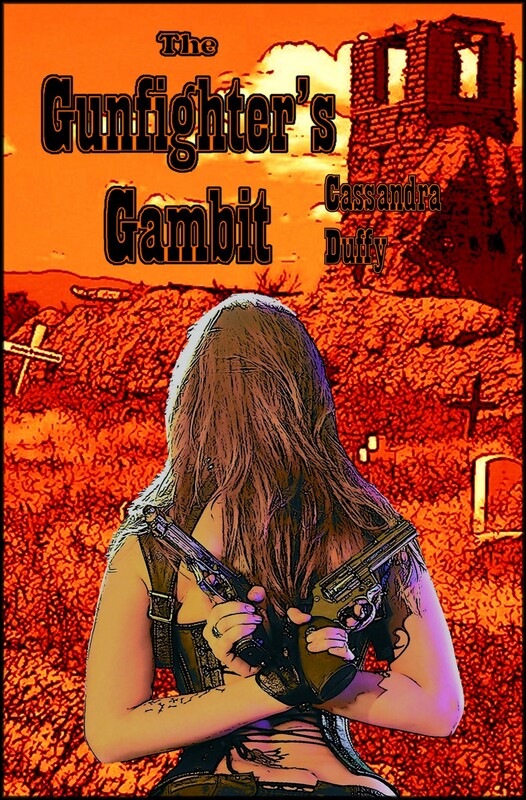 Riding through the post-apocalyptic world of West Durango, Fiona infiltrates Mackenzie’s marauders only to find the Ravens have once again lied to her. Fiona’s rescue might end in wedding bells and children or betrayal and massacre—it seems destined for bloodshed either way. Available on Amazon (Kindle and Paperback) Kobo and Nook.